These Reebok Women's Brown RB444 Tiahawk Waterproof EH Composite Toe Hiking Boots are packed full of features to get you through your trek or work day safely. You’ll get the protection, comfort, and durability you need with these Tiahawk boots regardless of the t ... (see full details) (see specifications) #RBKRB444. These Reebok Women's Brown RB444 Tiahawk Waterproof EH Composite Toe Hiking Boots are packed full of features to get you through your trek or work day safely. You’ll get the protection, comfort, and durability you need with these Tiahawk boots regardless of the terrain you choose. These brown boots are made of water-resisting leather uppers. Additionally they are made with waterproof membranes to guarantee your feet stay dry when your stomping through liquid. With the help of the Tailex inside these women's Reebok hiking boots, moisture will be pulled away from your feet with wicking technology to not only keep them dry from the outside in but the inside out. If you need features that’ll cushion your feet to help take the brunt out of hiking on tough terrain or long work days on the floor. You will find those features in these non-metallic safety shoes. The soft EVA foam inserts cushion your steps. These work boots are made with sponge rubber heel wedges, the inserts absorb shock before it gets to your feet and legs. They're also removable, so you can take them out and clean them easily for odor control. The EVA midsoles on these waterproof boots give you another layer of cushioned comfort. The shank stabilizers are made in a wrap-around design to give your feet and arches lift and support, which reduces muscle strain and fatigue. For your safety, these Reebok safety boots have an ASTM 2413-05 rated composite toe. Lighter than steel toes, these composite toes give you the same protection from rolling and falling objects. These women's Reebok boots are also 100% non-metallic so they’ll get you through the airport security line without a problem.They’re also electrical hazard rated too, making them the ideal pair of work boots to wear on the jobsite. Speaking of safety, the rubber outdoor traction bottoms help to give you unbeatable traction on many surfaces--from grassy surfaces to rocky surfaces. You’ll be able to grip the ground in these slip-resistant boots and stay on your feet. Whether you’re planning on taking a hike or just have to get through your long work days these Reebok Brown RB444 Tiahawk Waterproof EH Composite Toe Women's Boots will get you through safely and comfortably. I'm a laborer working construction. I've found that these boots actually fit a small person, unlike all the MENS boots. I guess most companies don't think woman actually do this work. I wear these on all my jobs. I've been wearing these boots for about 3 years now and will need to get a new pair soon. The boot seemed comfortable, flexible, etc. However, it was way too wide for my foot and completely unwearable. The sizing said "medium width" and my foot is an average width foot, so I would never have expected such a disparity from the average size. Very disappointing! It was so wide that at first I thought I had received a men's shoe, but not according to the sizing label on the box or in the boot itself. Big disappointment! 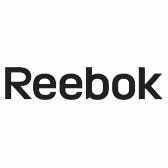 Reebok Boots: Women's RB444 Tiahawk Waterproof EH Composite Toe Boots is being added to your cart.